We have our own hearing aid repair lab where we can fix most behind-the-ear hearing aids and nearly all custom hearing aids. This enables us to provide superior service as nearly everyone else in Arizona has to ship repairs out of state. Instead of waiting 2 weeks for your hearing aid to be repaired, we can have it back to you in 2 days. If you bring it directly to our lab in Phoenix, we can often fix it while you wait! Having our own repair lab also enables us to fix them much more affordably. Our in-house repairs usually run from $65 -$125. These are wholesale prices to the public. If hearing aids need to be returned to the manufacturer, its usually at least double our prices. 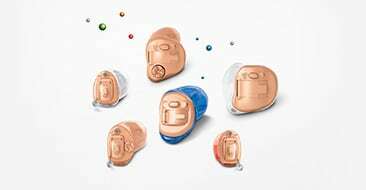 Most of our hearing aid repairs come with a 6 month warranty. We will even work on the hearing aids you've had for many years. While many hearing care professionals will not touch hearing aids that are over 5 years old, we do not put a time limit on the life of your hearing aid. There's no guarantee that we can fix it, but if we can, we will. Contact us by phone at one of our 8 convenient locations for more information.